So you are getting married! That is FANTASTIC!! Planning a wedding can be stress full. You deserve the perfect wedding in the most elegant venue with the hottest DJ and the best photographer. Let me take some of that stress away and take care of the photography. I will get the pictures you want to be enjoyed and cherished for years to come. Ever wish you had pictures of just the two of you in that special place where the two of you call ‘our spot’? Well look no further. Allow me to capture the two of you in ‘your spot’ doing what you love to do. If there are a few more to the two of you than just you two, that is cool too. Family shoots are fun and exciting. I love nothing more than capturing people just being themselves and enjoying life. Its what I enjoy doing! One of my passions is nature photography. Whether it is animals, landscapes, architecture or the sun and moon, I have a great time and deep passion for capturing it in pictures. 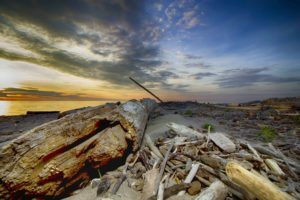 If you have a need for landscape or architecture photography or just a love for looking at picture of them, check out a few of my more favorite subjects! Wedding planning is hectic to say the least. You can relax knowing you put your trust in Buffalo’s best photographer for wedding and events. I will take the time to go over your photographic desires and work with you to meet them. I keep my wedding packages simple and to the point and you can view them right on my site along with samples of my work. I will never ask you to go out of your way to meet me. I will come to you and will meet with you at the location and time of your choosing that is convenient for you to review my work and offerings and rest assured that come the day of your event I will always be there and not some ‘photographer for hire’. My wedding packages are designed to give you the most for your money and just because I have ‘packages‘ doesn’t mean my offerings are etched in stone. If one of these will not meet your needs, call me and we can discuss what it is you are looking for and custom tailor something that will work for you. When we get together to discuss your plans and review my offerings I will bring a few complete photo shoots so you can see what a complete event will look like. The way I shoot is a combination of photo-journalistic and formal wedding photography so you can relive your special day from beginning to end for years to come. I not only do weddings! Check out my Photography Service page to see what else I have to offer. Remember affordable photography doesn’t mean you have to sacrifice service. Searching for ‘Buffalo wedding photography’ will return a plethora of results in the Buffalo wedding photographers sphere. 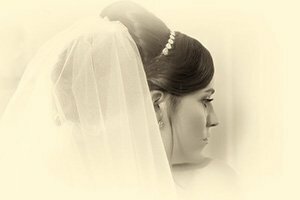 Of all the photographers in Buffalo NY, Mary Katrina Photography will take the time to make sure you have the services you want at a reasonable price. Whether you are looking for a wedding photographer, engagement photography, event photographer or any other professional photography services, we will always give exceptional service at an affordable price. We not only service Western NY, we will also go as far east as Rochester NY and occasionally beyond.